Programming is hard, and it certainly isn’t for everybody 6 Signs That You Are Not Meant to Be a Programmer 6 Signs That You Are Not Meant to Be a Programmer Not everyone is cut out to be a programmer. If you aren't completely sure that you're meant to be a programmer, here are some signs that may point you in the right direction. Read More . 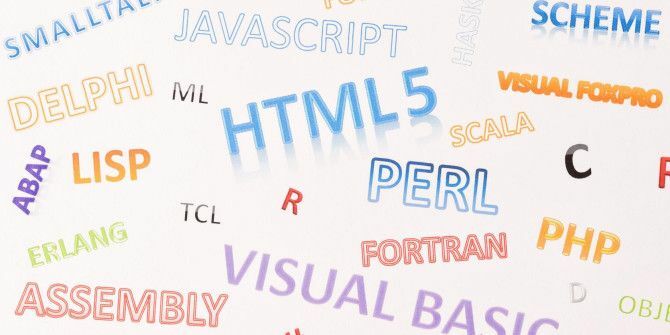 If you’ve decided that you want to learn to code as a career, for a hobby, or just to add another skill to your life, you might be intimidated by the sheer number of languages available. Using Codementor’s language finder tool, you can take a brief survey of your programming intentions and find what language best fits your skills. The site first asks you why you want to learn to code, then dives deeper into more questions such as what you want to develop (games, websites, mobile apps, etc.) and might even ask you which code snippet you prefer if it has trouble picking an exact match. The whole thing only takes a minute or two, so you can easily get a recommendation without a lot of complex questions. Once you’re through, you’ll be presented with your ideal language and a bit of information on it. You can also read why that language is best for you, including ratings on a scale from 1-5 on factors like beginner friendliness and career opportunities. If you think there is value to learning a second language in terms of 'how to think', a programming language is probably the best. Now that you know which language to start with, improve your chances of mastery with useful tricks 7 Useful Tricks for Mastering a New Programming Language 7 Useful Tricks for Mastering a New Programming Language It's okay to be overwhelmed when you are learning to code. You'll probably forget things as quickly as you learn them. These tips can help you to better retain all that new information. Read More . What language did you get? Why are you interested in learning to code? Share with us in the comments! I only got about 3 minutes into the video and had to stop watching. First off, HTML, not a programming language. Markup language yes. In a nutshell, it's a bunch of marks interpreted by a web browser to display stuff. It's stateless. AJAX, also, not a language but a technique or method to display content dynamically. The language used is called JavaScipt. Just another idiot writing filler for freelance filled site. I held Make Use Of to a higher standard but I guess not....considering they're willing to publish this crap under their header. Ben, it might be best to write about something you know or at least do a little research before you embarrass yourself. Also, the codementor.com quiz is just a front to sucker people into paying $240/month to learn to "code". If you look there are plenty of free resources. Now you're getting into differences between coding and programming. Would you consider RPG, SQL and/or Visual Basic as programming languages? Hi Dan! Glad you enjoyed the article. The video embedded actually doesn't have anything to do with the website I was referencing; it was just a resource for further learning if you were interested in the topic. There was no video on the tool itself available. If all of your problems stem from the video, you totally missed the point. Sure, HTML isn't really a programming language, but it still has its own quirks to learn and isn't something you'd be able to master right away. If you want to write websites, you need it, so it's worth learning. I've written over 110 articles for the site and very few of them are just pointing out a useful tool like this one (most are much more in-depth), so I can see how that would lead to me being an idiot. Sorry I didn't write a 5,000-word essay explaining the finer points of AJAX and HTML, but you know why I didn't? Because our readers wouldn't find it useful — that's why I write. I'm sorry you didn't like this, but for goodness sakes don't judge the entire site on one little post. I've been programming for four years in college; I think I know a little bit about it. I never claimed that this tool was the end-all solution to learning programming. It's a two-minute quiz for people totally new to the discipline. Programming is no easier or harder than blogging or a thousand other professions. It all depends on what you have a talent for. Personally, I find programming much easier than carpentry because, even using a guide, I cannot cut a straight line with a saw or hammer in a nail straight. While Codementor can tell you what language you are best suited for, if you want to make programming a career, you need to figure out what language(s) are going to be needed in 2, 5 or 10 years. Also, if you want to be a professional programmer, you have to be ready to learn new languages that replace the ones you already know. This is all true. I still think programming is hard and I've been having classes on it in college for three years now. It depends on talent, sure, but some people just need a guide starting out. The site also mentions the long-term prospects for each language it recommends.